Hard as this may be to believe, there was a time when Blizzard Entertainment used to make games that didn’t have the names Warcraft, StarCraft, or Diablo in them. It’s been a long time, it’s true. The last game outside those worlds made by the studio was 1997’s The Lost Vikings 2. Blizzard’s trying, though! 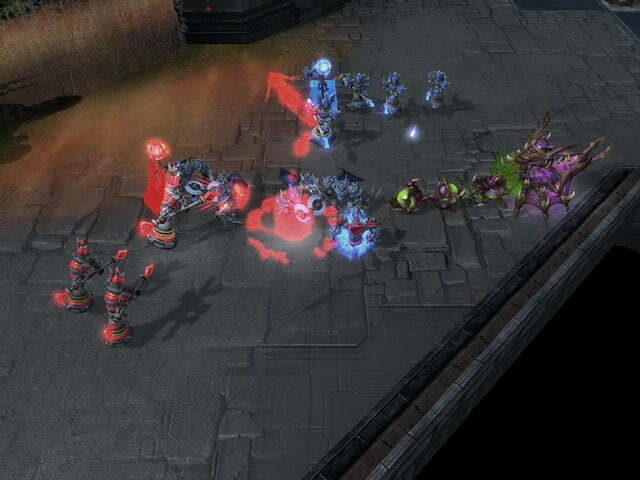 It’s making its own MOBA called Blizzard All-Stars. It stars characters from Diablo, StarCraft, and Warcraft but at least it’s its own game. Whether or not Blizzard is actually making Blizzard All-Stars has been in doubt for some time, though. After announcing the game as a StarCraft 2 mod three years ago, Blizzard has been strangely silent about its official take on Defense of the Ancients. The official website for Blizzard All-Stars just says that the game is “coming soonish.” From a company that takes upwards of five years to release a game after first announcing it, that’s hardly an encouraging statement. StarCraft 2 production director Chris Sigaty swears that Blizzard All-Stars is still out there, though. MOBA players are an audience that Activision Blizzard is anxious to take advantage of. The MOBA originator Defense of the Ancients started as a Warcraft 3 mod before spawning games like League of Legends, a game that currently has a regular playership of 35 million people. It’s estimated that the core League of Legends game, while free-to-play, generates between $5 and $10 million per day. With competitors like Valve capitalizing on the old Blizzard mode with its own Dota 2, Blizzard’s corporate masters are bound to be livid that they don’t have a comparable revenue stream of their own. While Blizzard All-Stars is still in the works, it will likely still require a copy of StarCraft 2 to play according to Sigaty.